This is a public service announcement to all black men. Never rest on your laurels. Get off your high horse. Don’t rest on your past glory. In this day and age of social media and ‘flexin’ on the gram’ it is very easy to be caught up in your own hype. However, what black men need to realise is that there is always going to be someone wanting your spot and in the hyper-competitive world that we live in due to advancements in fields such as technology, healthcare and education, there is always going to be somebody who will match or exceed your craftsmanship. Around the years of 2003-2007 in popular culture during my childhood, there were two prominent public figures I wanted to be. The now retired Brazilian soccer or ‘football’ superstar Ronaldinho and the rapper 50 Cent. Ronaldinho, is widely regarded as one of if not the most naturally gifted player of his or any generation. I mean, this guy did things with a soccer ball that were borderline absurd. He was like Bryant, Jordan, Iverson and James COMBINED in their prime. Apart from his skill level, he was a character in his own right. A mane of curled hair, an infectious bucktooth smile, and his iconic samba dance celebrations. An international superstar. No one could match him – he was the best in the world. A similar case can be made for 50 Cent. Survived 9 gunshots. Released ‘In Da Club’. Dropped Get Rich or Die Tryin’. Need I say anymore. He dropped like a nuclear bomb. 50 was everywhere from India to Brazil to Russia to Timbuktu. Like Ronaldinho, 50 Cent was at the top of his game and almost larger than life. He was like a hybrid of Tupac, Arnold Schwarzenegger and Mike Tyson. 50 Cent had the underdog story, the charisma, business savvy and unique slurred flow that separated him from his counterparts. After the successful debut album, tours, movies and huge endorsement deals, there was more expectation. He released ‘The Massacre’ in 2005 two years after his debut to critical acclaim but people still missed the initial rawness of his debut. Then two years later in 2007 prior to the release of this third album, supporters became sceptical and the term ‘Got Rich and Stopped Tryin’ was coined. With Ronaldinho, as he grew in stature and profile, there was a lot more scrutiny and rumblings from soccer pundits that he seemed to gain weight and was performing inconsistently. There were a number of occasions of him being spotted in burger spots and in clubs with women in the city of Barcelona. He could still pull off moments of sheer genius and receive a rapture of applause from Barcelona supporters but he showed signs of falling off. A meek 19 year old 5 ft 7’ Argentinian was introduced into the Barcelona 1st team, and Ronaldinho found himself isolated and on the sidelines. It was only a matter of time until Messi’s famous ‘playstation’ match where he scored 4 amazing goals in the Champions League quarter-finals against Arsenal in 2010, the world saw a new player reign the throne and ultimately Ronaldinho fall off. For 50 Cent however, it was no different. His overwhelming chart success and rap beefs that he won over numerous rappers took away from the effort he put into his craft and he essentially couldn’t keep up with the shift in music. A certain rapper by the name of Kanye West, was playing second fiddle to ‘Fiddy’ for the best part of 3 years and his competitive spirit pushed him to become the number one rapper in the world. He changed his style from soul sampling, and toured with the likes of U2 and got out his comfort zone and experimented with a more European, trap, anthemic dance sound. This led to him launching his 2007 album ‘Graduation’ on the same day as 50 Cent’s ‘Curtis’ album. The results were unanimous, Kanye’s album outsold 50 Cent’s by 957,000 to 691,000 copies in the first week respectively. To make matters worse, 50 Cent went to Kanye’s studio to listen to his music and suggested he picked ‘Can’t Tell Me Nothing’ as the lead single as he enjoyed that the most. Hip Hop now had a new king. It’s important not to cloud your judgement by previous success as if you stop trying to improve on past work you face risk of peaking too early and ultimately being surpassed by the competition. 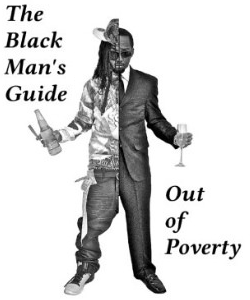 Therefore it’s vital that black men are aware and keep on top of trends in a rapidly changing world. From things such as new technologies and automation putting pressure on various job sectors. No matter how good you think you are, there’s always a new innovation that it is going to eventually match or exceed your skill set. Also, in the day and age of an interconnected world and immigration, employers are always looking for talented people from across the world to hire and replace you, if you can’t keep up. You should always be seeking to enhance your skills and gain new ones you don’t already have. As black men we have to get out of the mindset, that if we’re inquisitive and wanting to know more we’re doing too much or being a ‘lame’. We don’t push ourselves further and only do just enough to not look like an outsider. Especially for young black teenage boys, high school is a time when your dealing with insecurities and constantly trying to fit in. So it’s especially key to have a strong independent mindset in knowing what YOU want from YOUR life and not succumbing to peer pressure. Where do I need to go to? As black men we’re too comfortable in our environments. We’re use to the same people, the same places and the same experiences. Hang around people who know more than you, in whatever field of interest. You need to expose yourself to as many different environments as possible.